The familiar swipe function makes the app very easy to use. It helps you to navigate through intuitive commands and screens in a quick and simple way. You will be able to customise your own personal hearing solution focusing on your specific needs, creating an environment of sparkling sounds. You personalise your app by either catching or selecting your own photos to help you visualise the program you are using. Another possibility is to design your own programs by adding your favourite listening and sound settings at your friend's house, your workplace or at your most treasured cafe. This will create your ultimate most personalised hearing. Lost hearing aids can be located with the app - protecting your precious investment. Widex BEYOND software updates are delivered wirelessly via the Widex BEYOND app, saving you the trip to your hearing specialist store. Everything can be controlled from the comfort of your home. You can leave your remote control for your hearing aids at home. From the Widex BEYOND app for iPhone, you will be able to control your hearing aids. You can change the volume and mute with a simple swipe. The hearing aids use much less power than any other hearing aids on the market. From the app, you are able to check the status off the battery life of your hearing aids, which leaves you prepared when you are out and about. 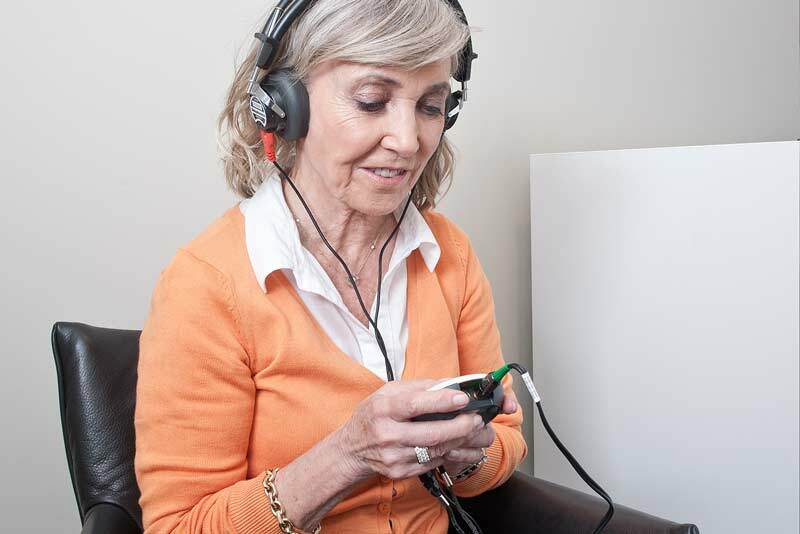 When you find yourself in a challenging hearing situation you can control whether to hear the sound from the front, back or from the side. Imagine being on the train, bus or in the car with your friend the app lets you choose to direct the sound to the person sitting next to you. See how BEYOND keeps Selene connected. Request a free appointment and we will contact you shortly.